Born about 7pm, sadly after her stillborn sister but she seems pretty feisty so fingers crossed. Mum very attentive but not much milk so had had a bit of a feed via a tube and hopefully mum's milk will get going soon. She is a great Mum. Hopefully milk soon or its a bottle 5 times a day for a couple of weeks. How lovely,hope the milk comes. Beautiful. What breed are they? Oh - she is lovely - well they both are. Well she is feeding well and the lamb is thriving. No signs of the other 4 ewes lambing but in theory today is actually only the first day they are expected. Well Annabelle is doing really well, she just needs some friends to play with. She is completely adorable and when Mum lets her she loves having her ears and chin rubbed. I have on ewe who looks like she is about to pop. I swear she is as wide as she is long. 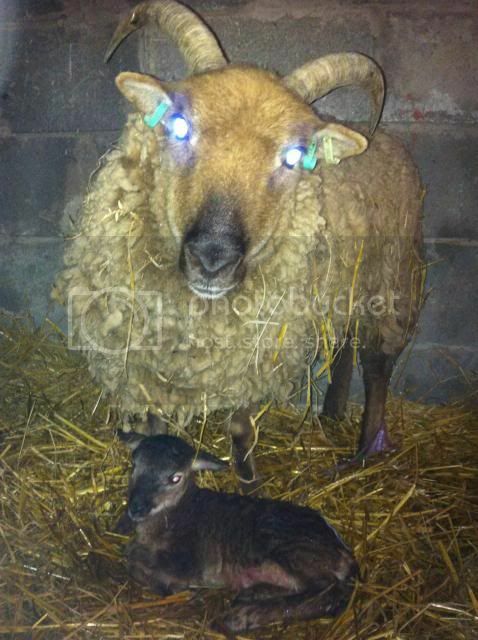 She looks at least twice the size of the ewe that had twins. She is a sofa on legs! And she doesn't seem in the slightest bit interested in having these lambs. She's just mooching about, having a bit to eat and laughing at my 2-3 hourly checks! Glad to hear Annabelle's doing well. Well she still hasn't produced anything and is even more massive! She looks like a child's drawing of a sheep - a fluffy circle with a few legs sticking out the bottom! 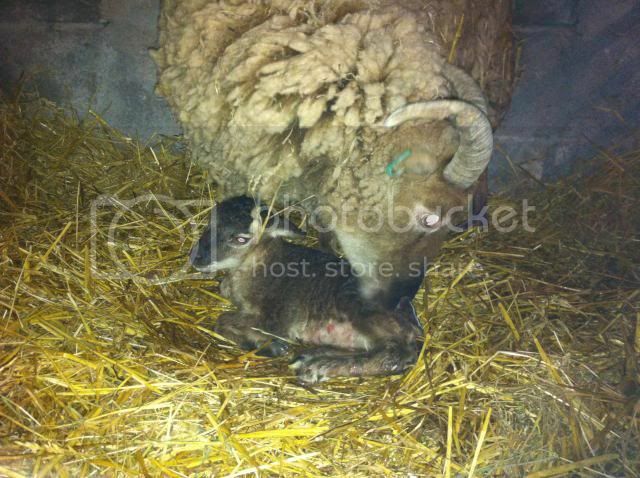 However one of the other ewes produced a lovely pair of ewe lambs first thing this morning who are both doing well.